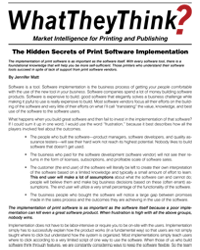 The implementation of print software is as important as the software itself. With every software tool, there is a foundational knowledge that will help you be more self-sufficient. 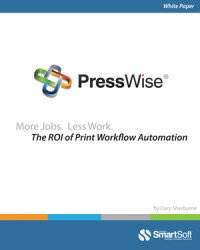 Those printers who understand their software tools succeed in spite of lack of support from print software vendors. 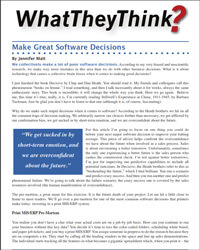 Are you in the middle of implementing software? 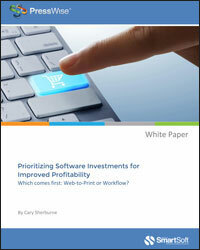 Do you have underutilized software in your print business (100% of printers do)? 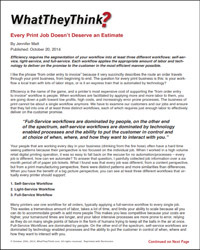 Today’s print buyers increasingly expect the print ordering process to be quick and as simple as possible; the way they increasingly order everything else. Industry Analyst, Richard Romano, of PrintPlanet.com outlines in this article how to better achieve efficiency when catering to print buyers and why you don’t want different jobs to be running on multiple tracks through your shop—be it production, MIS, or otherwise. 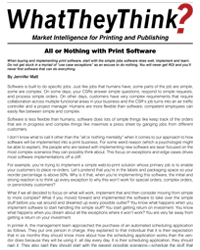 This latest article from industry commentator Jennifer Matt, first published on WhatTheyThink.com, discussed the idea that not every order that enters your print shop should be treated the same. She suggests that you should support at least 3 different types of workflow – Self Service, Light Service and Full Service – based on the number of times workers have to touch an order. How you spend your people’s time, where you apply it and how that ultimately benefits the customer is a key element in your success. 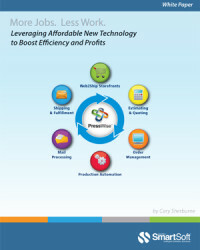 Most printing companies understand the need to invest in various types of software as they continue to evolve their business models and infrastructure to better address current market realities. But how should these investments be prioritized? 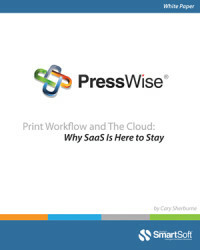 Is a web-to-print storefront the first step? Should you work on the back end first? Or perhaps there is a way to address both at once? 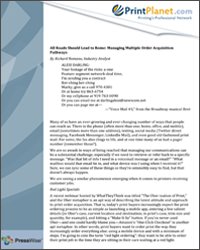 This white paper explores the pros and cons of various implementations and includes real-world stories from three print service providers who have successfully made and implemented these types of investment decisions, with positive results. 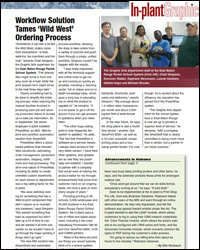 This article from InPlant Graphics magazine looks at how one PressWise customer – the East Baton Rouge school system – has tamed their ‘Wild West’ order management process with PressWise, reduced the manual touches involved in producing each job, and given each team member access to real-time jon information. The net result is a printing department that can service the entire school district more efficiently and provide a much higher level of service than ever before – and one that is well positioned for future growth.